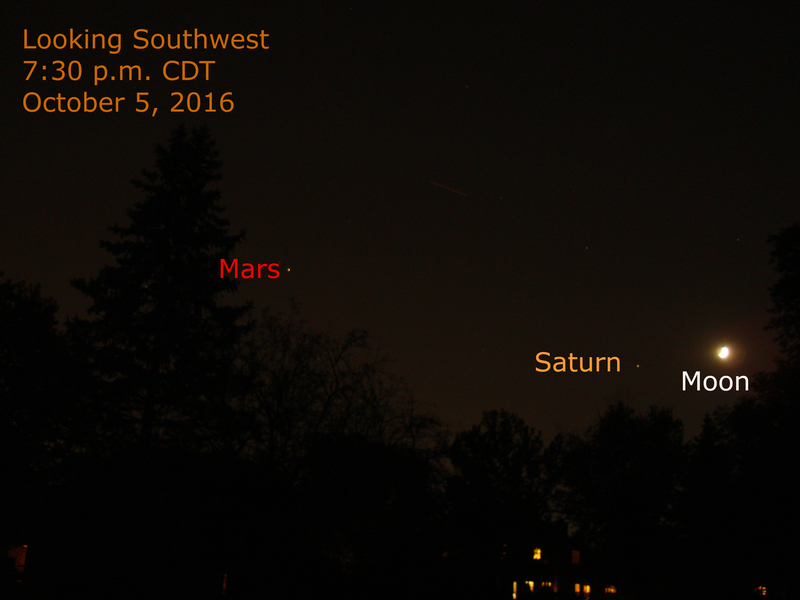 The crescent moon (overexposed in the image) appears near Saturn this evening as seen from the Chicago area. This evening the moon is 5 degrees from Saturn with Mars 24 degrees farther to the east. Tomorrow evening the moon is about 8 degrees to the upper left of Saturn.